Pre-kindergarten children are engaged in pre-reading cognition and social and emotional development. Children are rapidly advancing in skills necessary for Kindergarten readiness. At Stepping Stone School, our highly trained teachers prepare and integrate weekly theme-based learning plans that respond to the stages and interests of each individual child and follow our Platinum Learning for Life™ curriculum. 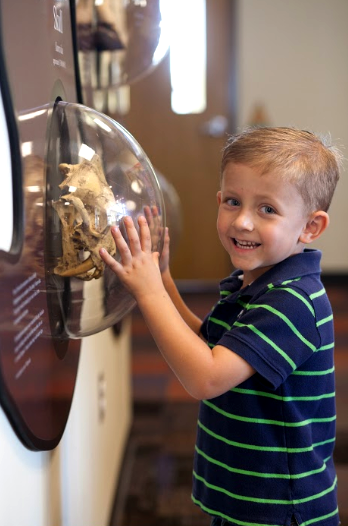 State-of-the-art learning centers serve as hubs for pre-literacy, math, science, technology, dramatic and sensory play, art and music mastery. Expanding phonetic awareness through the daily use of books, songs and technology. Enhancing literacy through environmental print, pre-reading activities and conversations. Strengthening print concepts, letter and word recognition and comprehension skills. Building vocabulary in both quality and quantity. Mastering the naming of letters, shapes and sounds. Participating in daily dual-language activities which expand and encourage the use of American Sign Language [ASL] and Spanish vocabulary. Participating in Fit for Life™ which provides exercise activities, and educates them about healthy habits and routines. Developing gross motor skills while participating in movement activities in a closely monitored and secure indoor and outdoor natural environment. Building fine muscle and motor skills through coloring, cutting, working puzzles, gluing, and building with blocks. Exploring and discovering within a secure and supportive environment. Expanding emotional maturity by learning how to recognize feelings. Nurturing compassion and empathy for oneself and others. Participating in age-appropriate activities and experiments via our S.T.E.A.M. curriculum. Developing complex problem-solving skills through the use of intricate puzzles, logical reasoning and spatial reasoning activities. Advancing creativity and imagination through dramatic play and narration. Developing critical thinking skills through math and literacy activities.